Not all that long ago I did a presentation on my top tips for beginner speakers. They were Breathe! Prepare! Practice! I’m going to repeat the same mantra for beginner evaluators. For all intents and purposes an evaluation of a prepared speech is a speech in its own right too. There are, of course, two parts to a Toastmaster evaluation speech. The first is the presentational feedback which is offered to the audience so that everyone in the room can all learn. The second is the one to one feedback that you give to the speaker at the end of the session; both need to be motivational. For the pupose of this presentation I wish to focus on preparing. However tempting it is to blurt out the first thing on your mind, a deep intake of breath steadies the nerves, calms the jitters and allows you to centre yourself. Giving feedback is an important job and whilst you don’t need to be solemn about it, the task should be taken seriously. There are five ways we give feedback in Toastmasters. Not just through the presented evaluation speeches, and the one on one afterwards. We have mentors that give feedback on speeches, we are asked to give written comments on every prepared speech during a meeting and without doubt we offer unofficial verbal comments and commendations. You might think that you can’t prepare to give feedback on a speech that you haven’t yet heard. I’d like to show you otherwise, as without due thought, your feedback may not be as motivational as you might wish. This is one such piece of feedback I had from my third speech. “A massive difference from your icebreaker. You looked and sounded confident, informative and funny … and not a gurn in sight, it had been expunged.” Well! I had no idea that I had ‘previously gurned’ – indeed I had to look the word up. Moreover, whilst my icebreaker gave me some fabulous feedback this implied it wasn’t any good after all! To this day I haven’t reconciled that feedback. Therefore, I would like you to consider who and whose speech are you evaluating. What do you know about them? When was the last time they spoke? Where have they got to in their learning? And most importantly what you should be evaluating? Each speech in the competent communicators manual has a learning outcome. The focus for your evaluation should be on those outcomes. # 1 – The Ice Breaker – does the speech have a beginning a middle and an end? # 2 – Organise Your Speech – does the speech have a specific purpose with transitions towards that end. Plus that above! # 3 – Get to the Point – does the speech have a clear purpose to inform, persuade, entertain or inspire. As well as all of the above! # 4 – How to Say It – does the speech include descriptive, action and evocative language? Plus all of the above! # 5 – Your Body Speaks – how is the speaker delivering the speech visually? As well as all of the above! # 6 – Vocal Variety – how well is the speaker using tonality, pace and variety. Plus all of the above! # 7 – Research Your Topic – what examples of research is the speaker including in his/her speech? As well as all of the above! # 8 – Get Comfortable With Visual Aids – what visual aids is the speaker using and how effective are they in getting the message across? Plus all of the above! # 9 – Persuade With Power – how has the speaker crafted a persuasive speech, using logic to support an emotional appeal? As well as all of the above! # 10 – Inspire Your Audience – and finally does the speech inspire the audience to improve, personally, emotionally, professionally or spiritually? Plus, of course … all of the above! If you know who you are evaluating and you know what you are looking for; you can prepare an outline structure for your evaluation speech. You know that you want to sandwich your recommendations between two pieces of specified good points, you might even develop a repertoire of phrases that you feel comfortable using. If you have prepared for your evaluation, all you need to do thereafter is listen AND listen intently, for the examples you need to include in content of your evaluation speech. After all you have already prepared the rest of the speech. What you are listening, watching and feeling for are the great examples and for those missed opportunities where you can offer a solution or recommendation. These examples will populate the body of your evaluation. Put your self in shoes of your audience. If you don’t know where they are in their journey then find out. Give them a call? If they are at the beginning make sure they are happy with the basic needs – do they have the icebreaker criteria, know the room and the audience. Then, reassure them as to what you will be doing in your evaluation so that they feel safe that they will not be made to feel foolish. All of us have joined Toastmasters to belong to a group with the same aim. Reinforce the belonging aspect and empathise that most of us have been in the same situation – use your own examples to help illustrate a point. To maintain self esteem you might wish to make eye-contact with the speaker to thank them for their speech, then offer praise-worthy examples and suggestions for improvement to the audience. It may surprise you … but a good 25% of the population squirm at being praised in public and a good 50% hate being pulled up in front of others! Last, but by no means least – as Toastmasters become more confident and proficient – they are looking for the growth challenge. It becomes harder to find fault the closer one gets to the 10th Competent Communicators speech but … how else might they improve? Your evaluation needs careful consideration and a compassionate but rigorous critique. I’d like to put that into context. In the back of your competent leadership manual, you will find a Project Matrix. There are 22 projects to complete 14 of which can be ticked off by evaluating speeches, as the grammarian or indeed the general evaluator. More importantly when you work through the manual; choosing an evaluator role you will systematically hone your evaluative skills in the following areas: listening, critical thinking, giving feedback, time management, planning & implementing, facilitation, motivation and team building. What a great way to build your confidence in preparing for and delivering effective evaluations. If you are not yet ready to give feedback in public then volunteer to evaluate others in their leadership roles. This is only done on a one to one basis. It will help you build your confidence to deliver evaluations. When you are ready – volunteer to evaluate as much as you can. This is a long post – and if you have read this far then you may have something to add … please do! The subject is far from complete …. This is really good Laura. 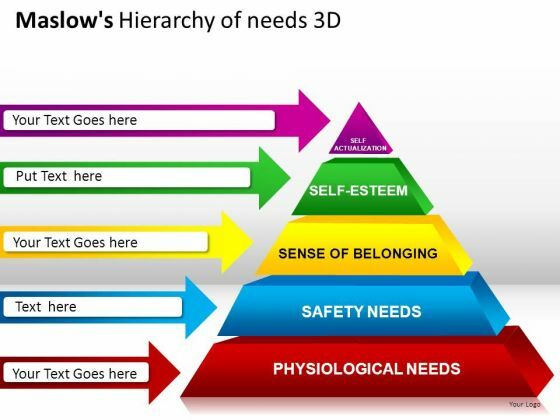 The use of the Maslow’s hierarchy to target the feedback to meet the individual’s exact needs is spot on. It’s so easy to give feedback on the technical aspects of a talk and miss an opportunity to strengthen the person’s confidence in themselves and their ability to connect with others. Thanks for sharing this.